Interstate 95 is the busiest highway in South Florida and as such, transportation officials want to prevent as many accidents and fatalities there as possible. 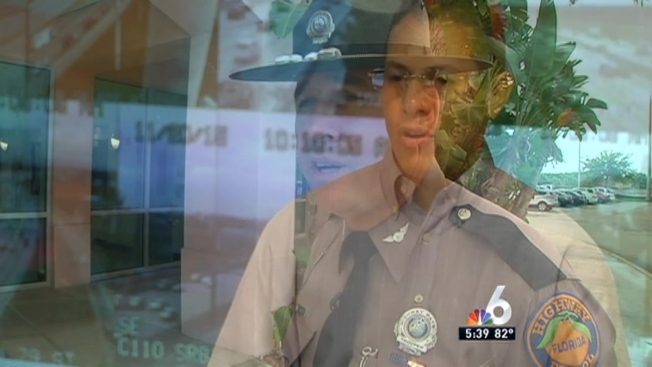 "Your driver's license is not a right, it's a privilege," Florida Highway Patrol spokesman Jose Sanchez said. With this privilege comes responsibility, but state troopers say a growing number of motorists are abusing the system. vehicles driving right over the plastic poles separating the non-tolled roads from the express lanes is one of the big problems. Which is exactly why the state Highway Patrol and Department Of Transportation are rolling out a new initiative. The "Drive Safe 95 Express" campaign is all about reminding I-95 commuters how costly and potentially deadly cutting into the express lanes can be. "It's going to cost you three points on your drivers license, if you're not involved in an accident," Sanchez said. "If you're involved in an accident it's four points and it's a $179 violation." The reminder is not only for those who find themselves weaving in and out of the 95 express lanes, but all roadways in South Florida. "Our mission is that if you are traveling on our state roads you feel safe," Sanchez said.